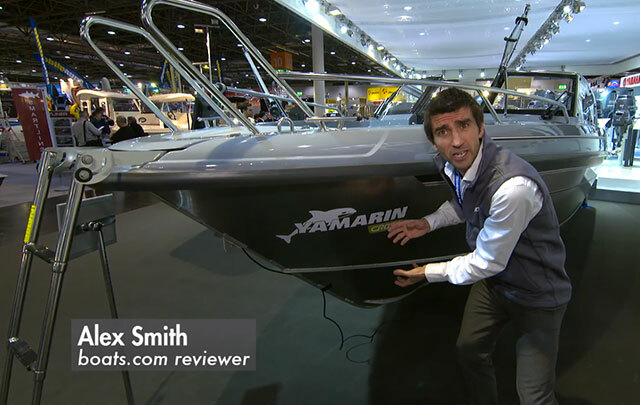 Alex Smith investigates the second largest of Yamarin’s Centre Console range. There are 25 boats in the Yamarin line-up, ranging in length from 4.1 to 8.1 metres and split into seven different types of craft. 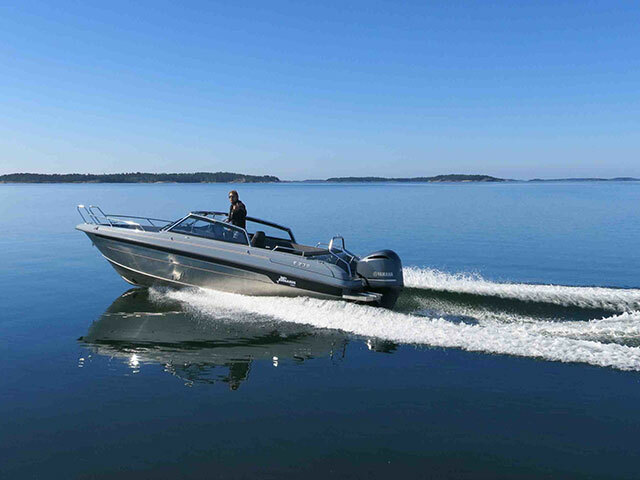 At one end of the scale, there are some very dynamic driving boats in the form of bow riders, walkarounds and day cruisers. At the other end, there are some far more sedate cabin boats with extremely generous kit lists and practical features in every nook and cranny. 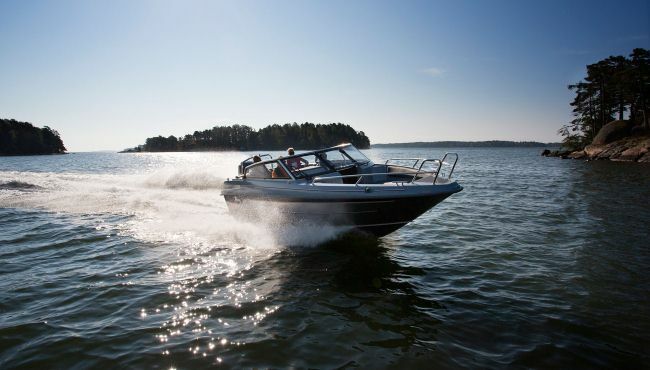 The Centre Console (CC) boats fall somewhere between the two, with plenty of deck space and a dose of handling vigour that comes from light weight and relative simplicity rather than heavyweight power. 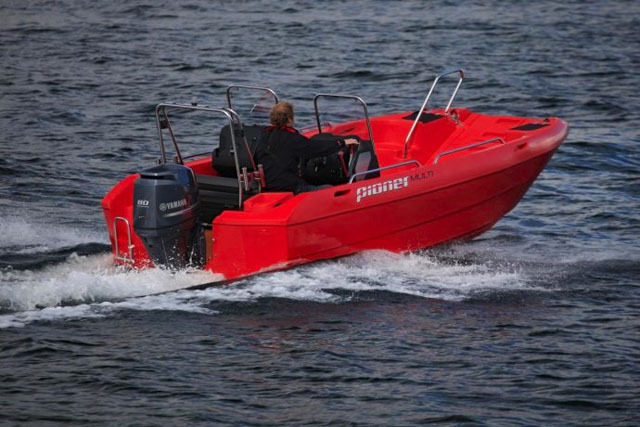 There are four Centre Console boats available and, like all but one craft in the Yamarin range, the 61CC is outboard-powered. When the Yamarin 61CC arrives at the jetty, there is a tangible absence of fanfare. She is demure and understated, with a simple cleanliness to her shape and configuration. 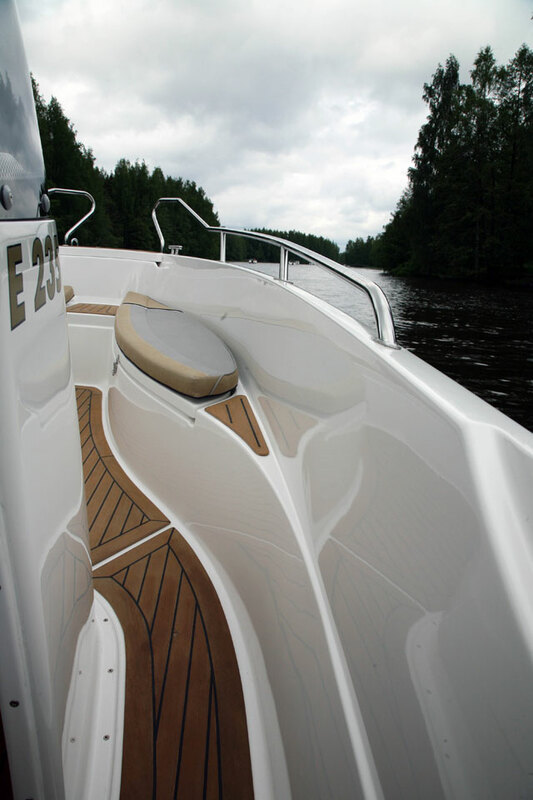 The thick rubbing strake and the extensive network of guard rails are very effective and as I embark from the pontoon, I am spoiled for choice, not just in terms of finding a good access point, but also in terms of finding a sturdy place to plant my foot. On board, a teak-lined bow step leads down onto a wide-open deck where the Yamarin continues to favour comfort and practicality over showiness.Standard equipment includes the aft bathing ladder, Baystar hydraulic steering, quality adjustable ‘offshore’ seats with bolsters, and a pair of anchor boxes, one at the bow and one at the stern. It’s a sensible rather than generous provision of kit but a brief perusal of the options list can make this a far more versatile leisure platform. In particular, I would look at adding some sunbathing infils for the bow, a table for the cockpit, a metal keel band for beaching and a ski pole for the occasional bit of towing fun. However, options aside, our initial impressions of the 61CC as a craft in which the basics are so well considered is borne out everywhere you look. For instance, the storage spaces are well finished, the swing-up canvas cover nestles in readiness beneath the top of the aft bench seat and the deck is self-draining. The walkways down either side of the console are usefully broad and the soft angling of the forward seating units allows the deck space to continue unhindered from bow to stern. It’s this kind of pre-emptive problem solving that makes Yamarin in general, and the 61CC in particular, so easy to live with. 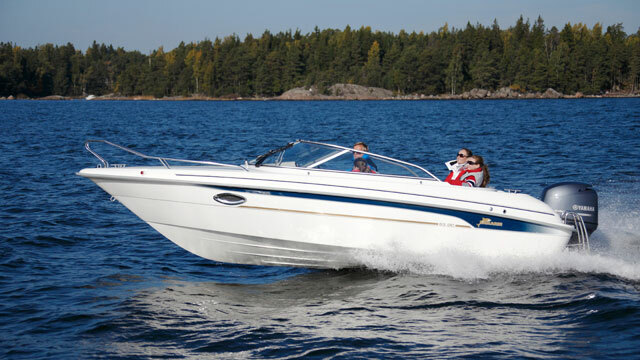 There are simply no issues to gripe about or to compromise your enjoyment of the boat. 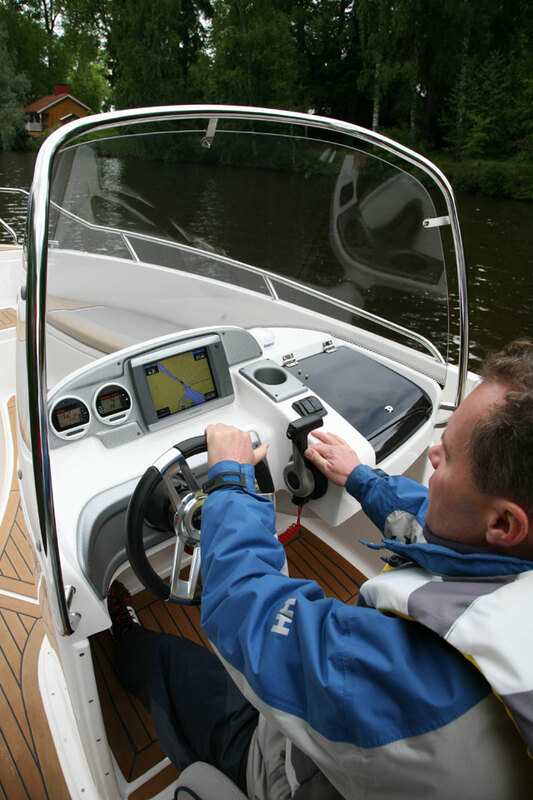 As we reach the helm station, things move from the competent to the sublime, with one of the best driving positions you will see on any leisure boat. It’s so good in fact that it’s difficult to know where to start. The screen is high, steep and curved, which means you get lots of protection and excellent visibility. It’s also placed a fair way forward, which opens up the console space for instrumentation and avoids the prospect of banging your head during a hard charge in a lumpy sea. 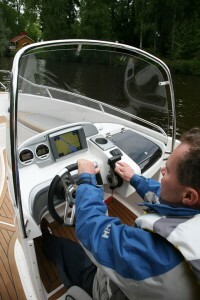 The dials and chart plotter are neatly flush-mounted and angled to avoid glare. And because the helm station is moulded into a deep recess in the console, it almost wraps around the driver, positioning him at the heart of the controls without the slightest need to take his eyes off the water or to stretch to reach the dash equipment. The mounting of the throttle on the inside of this cutaway console section also means that, once the driver has set the engine trim, he can rest the heel of his hand directly on the GRP, steadying his arm and allowing him to make much finer and more accurate adjustments to the revs. The seat is also a fine piece of work. The little rotating pod wraps around your hips, giving firm lateral support, while the swinging bolster and the generous angle of the moulded foot brace make you feel as though the entire set up was built specifically for you. It imparts a huge amount of confidence, allowing you to drive hard and fast, with intuitive alterations and great positivity in your use of the controls. 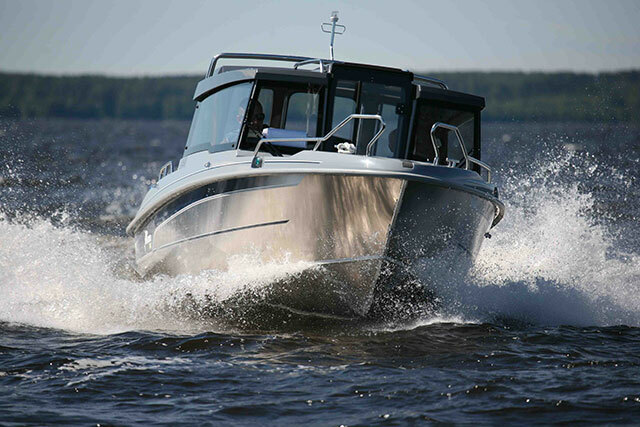 The Yamarin 61 CC is an unerringly competent craft and a fine example of what can be achieved when every element of a boat’s design is directly influenced by extensive on-water feedback. 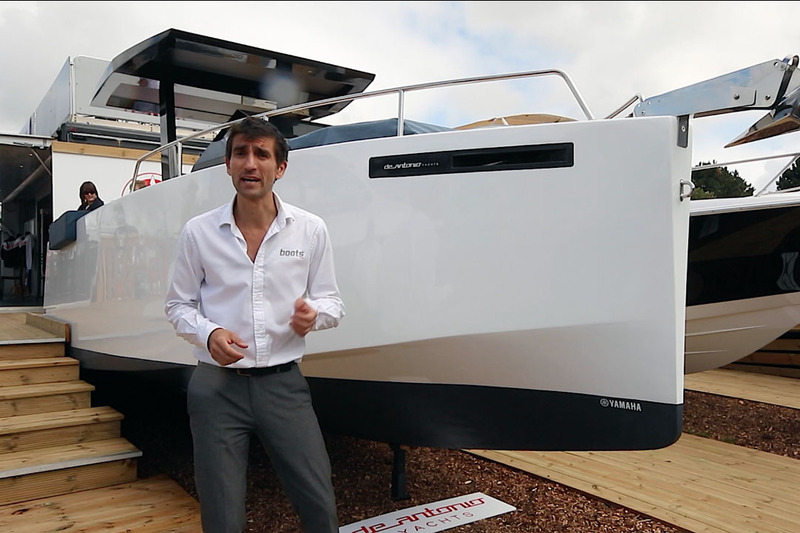 From the practicalities to the helm position and the responsive, quirk-free hull, everything works precisely as you would want. 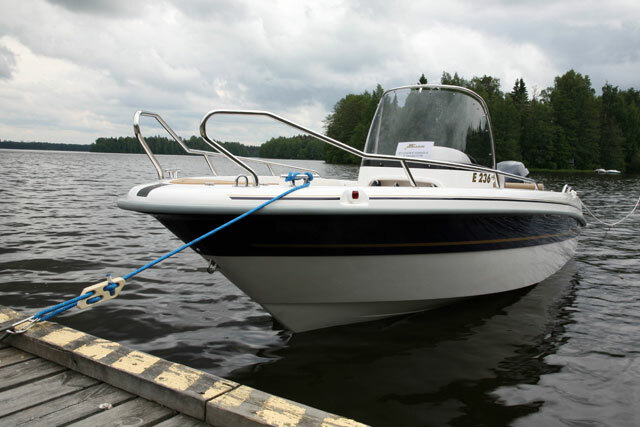 Of course, there will be those who look at a boat like this and eschew its prolific box ticking as something drab and rational, but this simple effectiveness is what makes the ownership experience so positive. Builders like Yamarin (or from the same part of the world, Windy and Finnmaster) always strive to make sure they get the basics absolutely right, because they know that, when you take a boat out of the showroom and put it on the water, the faintest flaw can be magnified out of all proportion. 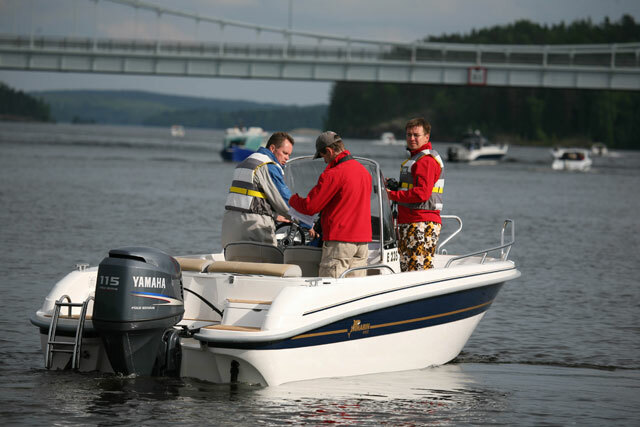 And the 61CC is yet another Yamarin that looks good, works well and helps you enjoy the boating experience by letting you get on with it. It’s not a magic trick. It’s just good, consistent, well-informed boat building from a company that applies its experience to great effect in everything it does. You can buy with this one with the utmost confidence.